All Washington Youth Soccer (WYS) sanctioned events and activities; including but not limited to practices, league games, tournaments and all State Cups are required to have organizational members, staff and employees SafeSport certified and an approved national background check in Affinity. Any one in regular contact with amateur athletes who are a minor are required to have a SafeSport Certificate and approved RMA, prior to participation in any and all Washington Youth Soccer event or activity, per U.S. Soccer mandate Policy 212-3 and SafeSport Act 2017 Public Law (PL) 115-26. RMA Applications and SafeSport Certification is required annually. Please contact Keli Bitow at kelib@washingtonyouthsoccer.org if you require assistance or have further questions. 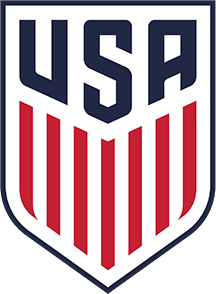 **Please note: USSF Certified referees complete the process through Washington State Referees Committee.